It's been a while since I reviewed the Essence Colour Correcting Liquid Concealers, but I've been trying out so many different products and have a bunch of reviews in the works. Now I can confidently say that I've put the also affordable stick version to the test to fully know my opinions on them. I received all of these for free, but that won't stop me from honestly reviewing them. Let's get started. Below are swatches on my wrist. 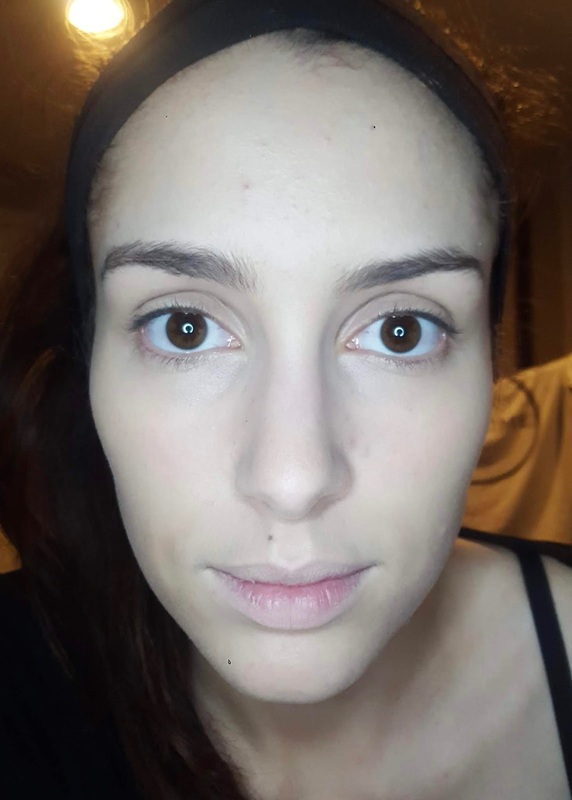 The following two photos are how I used these correctors for the best result. The areas with the green are all parts of my face that have redness, including a few breakouts. 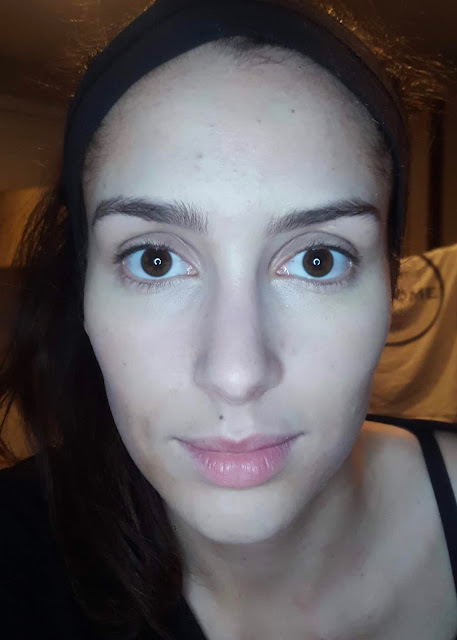 The yellow was used under my eyes and also sometimes mixed in with the green. The purple (meant for brightening) is above my lip and on the sides of my face where my skin looks a bit dull. The pink was added just below my eyes on the lash line since that area can appear quite dark. I decided to go with a foundation that I know a lot of people have tried in the past. 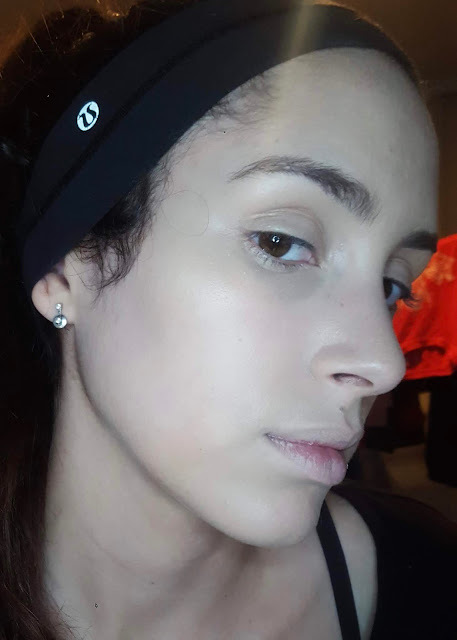 I'm wearing the Makeup Forever Ultra HD foundation here since it's pretty full coverage. I decided to go for this because let's be honest; If you're going through the effort to colour correct everything, you're probably looking for higher coverage. 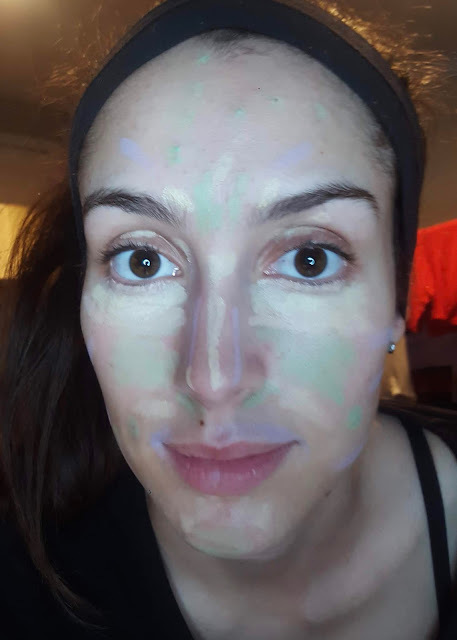 The foundation itself didn't fully cover the green from the colour corrector. However, most people wear concealer so I tested that out as well below. I added the LA girl pro concealer since that is another well known one. It's pretty full coverage. 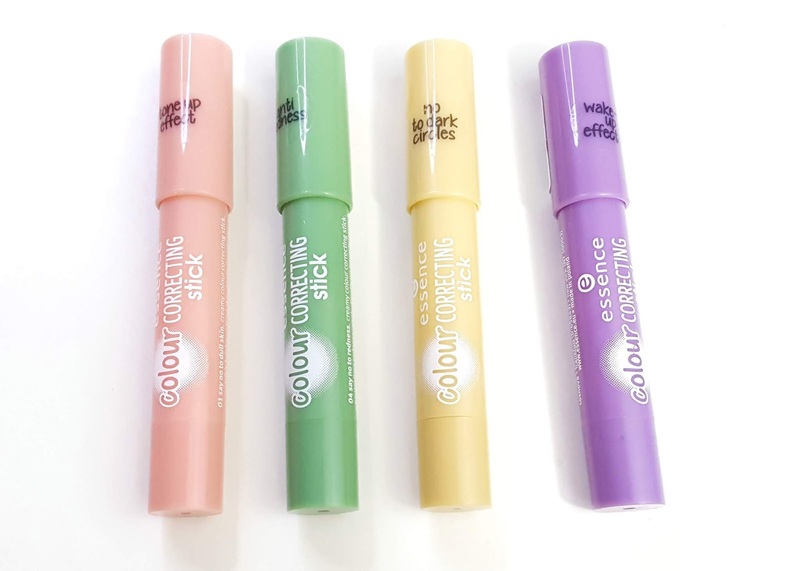 The colour correctors in this stick formula don't stick well to dry patches and breakouts, so it made the concealer an foundation break apart around them, kind of rendering them useless. Excuse the concealer lips from patting it around my mouth. 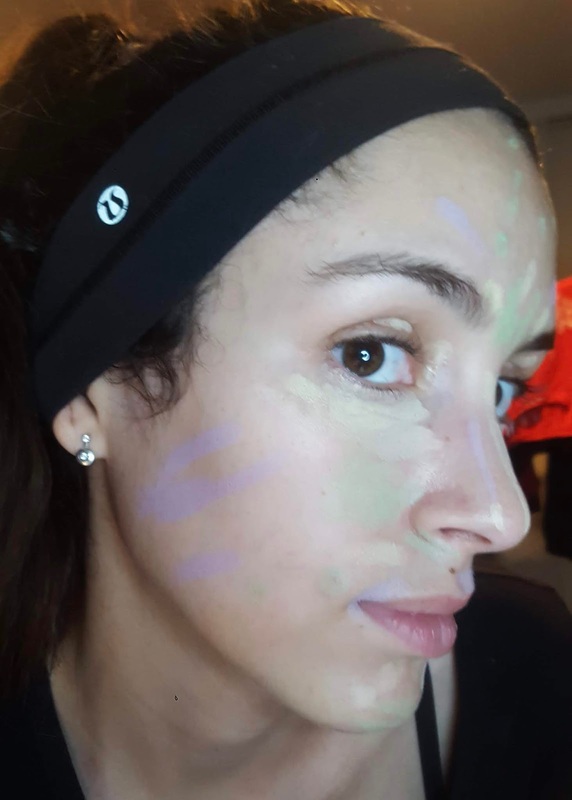 My chin still kept some redness since the green seemed to blend away when applying the foundation and concealer. The photo below is the side view and as you can see, the purple doesn't seem to show through, and neither does the pink or yellow. Looking close up in a mirror you can see a bit of texture that normally wouldn't show up without using the colour correctors. My overall review is that these aren't worth it. While they are very affordable, I MUCH prefer the liquid concealer version. 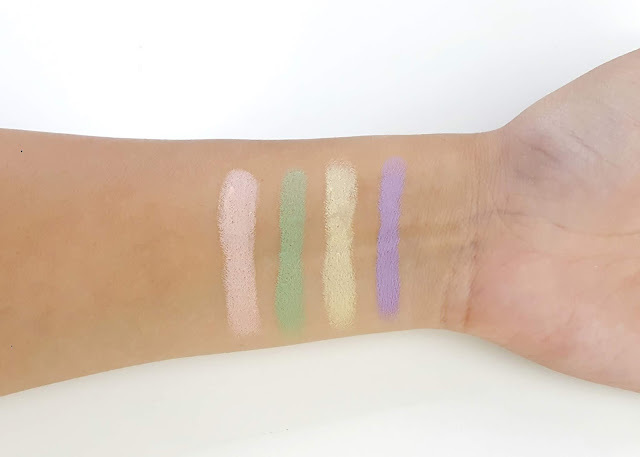 Yes, those only come in green, yellow and pink, however I don't think the purple actually does anything (for me at least) and the other shade for the sticks was a tan colour that is too dark for my skin tone, so I gave it away a long while before writing this review. That's it for this review! I only have a handful of older products to review left before moving on to only reviewing products as they come in. Let me know your thoughts on these colour correctors and if you also prefer the liquid version to these.